This car is absolutely hot! Very nice aftermarket 20" wheels, low miles upgraded bose stereo, 4 camera system, sonar (crash preventing) system and all the other standard luxury you would expect from Infiniti...This car unfortunately has already been hit on passenger quarter panel.. We replaced with an used one and also had to replace suspension in the right rear. The passenger rear door had a very minor amount of damage (was easily repairable) but we had a door the same color as the car and to do as little paint work as possible, we decided to change the door.. The rear bumper also had a small tear in the corner so we had to replace it (had a black used one, but it needed paint work). Come check this one out. This is one Rebuilt Tiltle car you dont want to pass up. Warranty Description: Includes free oil changes for the year. 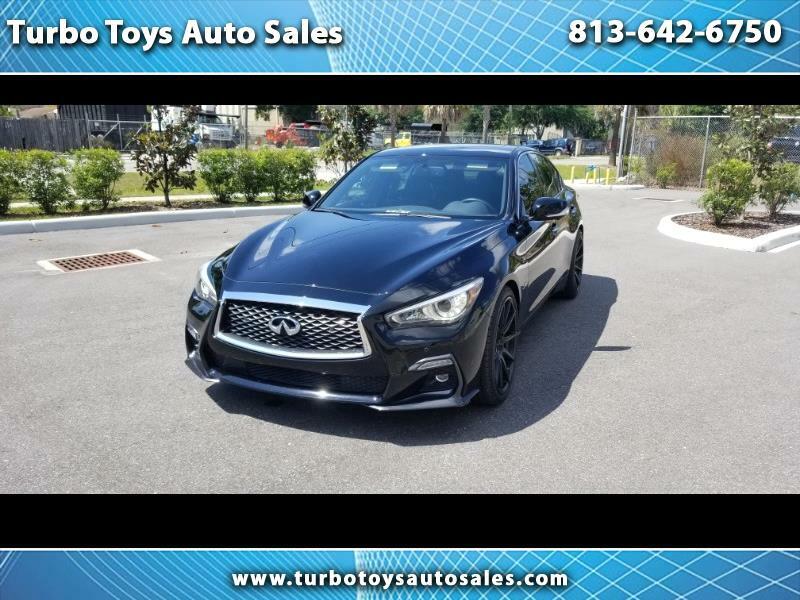 Message: Thought you might be interested in this 2018 Infiniti Q50.